Across much of the West, after September 11, 2001, we have indeed given up our essential liberty, and more over, our dignity in exchange for the illusion of safety. Our streets and public events are filled with militarized police and very literally soldiers wielding machine guns and riding around in armored vehicles. And yet with this militarized security, invasive Constitution-violating searches, warrantless wiretaps, humiliating pat-downs by federal security at airports, terrorist bombs still managed to rip through the streets of Boston killing 3 and injuring many more. There is nothing more symbolic of the fall of America as a free people than scenes of impotent militarized police standing around aimlessly with their immense arsenal cradled in their idle hands in the wake of an attack their presence did nothing to prevent. What's more, is their presence after the attack was likewise useless, their weapons and armor incapable of doing anything to help the scores of injured. 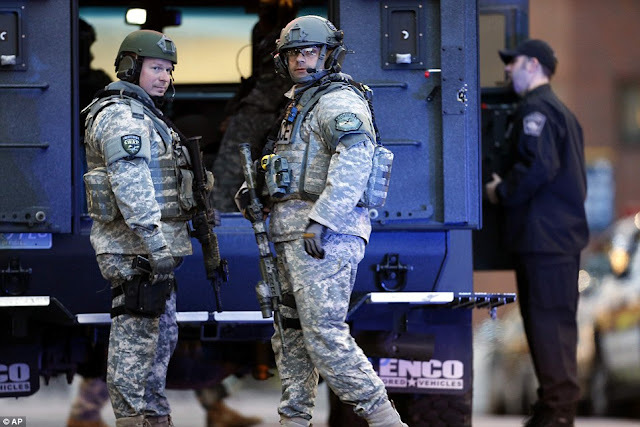 Image: (AP) Militarized police stand around aimlessly before and after the blasts in Boston - exposing the "safety" offered to the public in the last 10 years by the growing police state as a mere illusion we have been made to accept, but clearly, to no avail. We have given up our liberty and our dignity in order to obtain a little temporary safety - and predictably we have neither liberty nor safety. Disturbing is the habit of the FBI's posing as terrorists with ties to Al Qaeda, approaching patsies who they then provide explosives and other weapons to, and help engineer an attack which they then "foil" to make spectacular headlines. Many times real explosives are test-detonated with suspects, before inert devices are switched in for the final attack. In one case in Portland Oregon in 2010, a van was actually parked next to a crowded Christmas tree lighting ceremony where the FBI-entrapped suspect attempted and failed to detonate an FBI-provided inert bomb. More frightening still was the apparent motivation behind the FBI's uncover operation. In 2005, Portland became the first city in the United States to withdraw from the FBI's Joint Terrorism Task Force, (JTTF) over concerns it would threaten civil liberties. The FBI, unwelcomed in Portland, decided to then approach a dupe, entrap him, and spectacularly "foil" a high profile terror plot of their own design during Portland's annual Christmas tree lighting ceremony - without notifying the local government or local law enforcement of the on going operation. The operation would humiliate local representatives and in particular, Mayor Sam Adams, making them appear negligent, incompetent, and impotent. And, in the wake of the operation, citing the FBI's charade specifically, Portland would eventually agree to rejoin the JTTF. What, if not terrorism, would such events be classified as? The FBI's JTTF was ousted from Portland, and it subsequently used the threat of violence to coerce the city into accepting it back. It was an operation A-Z engineered by the FBI with a specific political motivation lurking just beneath the surface. The opaque, covert nature of these operations should also profoundly disturb readers. The FBI apparently has access to vast resources to conduct these operations, including weapons, real explosives, vehicles, and just about everything else most likely used in the Boston blasts. According to the New York Times, in their article, "Portland, Ore., Votes to Rejoin Task Force After Terrorism Scare:"
The investigation had been under way for many months, but the Portland police were consulted only near the end, largely to help with logistics of a sting operation. Mayor Sam Adams was unaware until after the arrest. Who then is overseeing these operations outside of the FBI? These are operations where real explosives are even detonated ... and in the case of the World Trade Center bombing in 1993, FBI monitored suspects actually went through with the final attack, killing 6, and wounding many more (The New York Times, "Tapes Depict Proposal to Thwart Bomb Used in Trade Center Blast"). The answer is, no one is overseeing them, and they are kept secret until the FBI either "foils" them for political points, or a witness steps forward and reveals the FBI's role in successful attacks that maim or kill innocent people. This constitutes a very real terror threat to America, but one that lurks within Washington and in our cities' local FBI offices, carried out by men in suits and ties, not cave-dwelling extremists in Afghanistan or "homegrown terrorists." For the people of Boston, one of the first targets for investigation should in fact be, the local FBI office. And while America's domestic threat is one contrived and perpetuated primarily by the very people charged with defending the nation against terrorism, real foreign extremists do exist. It should surprise no one however, considering what the FBI does at home, who is minding this terrorist network abroad. It is now believed that pressure cooker improvised explosive devices were used in the blasts - devices frequently used overseas by Al Qaeda's many various incarnations. Should "Al Qaeda" turn out to be behind the Boston blasts, readers would benefit from understanding just what exactly "Al Qaeda" is. U.S. authorities warned as far back as nine years ago that terrorists could use metal pressure cookers to cause deadly carnage. The common kitchen cooking implement - found in countless American homes - has emerged as a key component in the horrific bombings that killed three people and injured more than 170 at the Boston Marathon yesterday. In 2004 a memo titled "Potential terrorist use of pressure cookers" alerted border inspectors, agents, law enforcement officers and other first-responders that the seemingly-innocuous items could be used to create improvised explosive devices (IEDs). The memo says the bomb-making technique is commonly taught in Afghan terrorist training camps - and had already led to bombing casualties. The article would also mention terrorists operating in Algeria using rigged pressure cooker devices to carry out attacks - militants long associated not only with Al Qaeda directly, but neighboring Libyan terrorist organization, the Libyan Islamic Fighting Group (LIFG) which was recently handed the nation of Libya by NATO. This would also be the same Al Qaeda that the US and NATO are in the process of arming and funding in Syria for the past 2 years. Likewise, it is the same Al Qaeda spawned from the sectarian crypto-terror organization, the Muslim Brotherhood, helped into power on the back of region-wide US-engineered political destabilization, and funded to the tune of billions by America's allies in Riyadh and Doha. 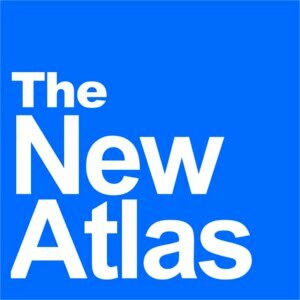 In fact, for the past 30 years, the US, Saudi Arabia, and other regional allies including Israel have cultivated, armed, funded, and expanded Al Qaeda, using them as both a casus belli for military intervention and a global mercenary force everywhere from Libya to Bosnia, Iraq to Iran, Afghanistan, and of course across Syria for the past two years. Qatar on Tuesday rejected criticism that it risked destabilizing the Middle East by supporting rebels in Syria or the Muslim Brotherhood and said it was helping people but did not interfere in governments. Syrian President Bashar al-Assad has accused Arab states who are arming and sheltering rebel fighters of actions that could “create a domino effect throughout the Middle East and beyond,” with Saudi Arabia and Qatar clearly in mind. Qatar has admitted for the first time that it sent hundreds of troops to support the Libyan rebels who overthrew Muammar Gaddafi's regime. So clearly, Qatar is in the business of interfering with governments, and using Al Qaeda militants to do so. Similarly, Qatar, along with Saudi Arabia, the US, Turkey, Israel and other allies, have been funneling cash and thousands of tons of weapons into Syria - all of which have ended up in the hands of Al Qaeda's Syrian franchise, Jabhat al-Nusra. While the West attempts to claim these weapons are being sent to "moderates," the US itself admits that Al Qaeda is operating in every major city in Syria and is by far the most highly organized, most prominent militant front in the conflict. If the West via Saudi Arabia and Qatar is sending thousands of tons of weapons to "moderates," who is sending more weapons to Jabhat al-Nusra? “America has done nothing for us. Nothing at all,” said Mohammed Fouad Waisi, 50, spitting out the words for emphasis in his small Aleppo grocery store, which adjoins a bakery where he buys bread every day. The bakery is fully supplied with flour paid for by the United States. But Waisi credited Jabhat al-Nusra — a rebel group the United States has designated a terrorist organization because of its ties to al-Qaeda — with providing flour to the region, though he admitted he wasn’t sure where it comes from. And while Sly attempts to spin the story as merely misdirected anger and ignorance on the part of Syrians receiving the aid, it is well documented that bakeries in terrorist-held territory are manned by Al Qaeda militants. In fact, while Sly maintains that "security concerns" are owed for America's opaque aid distribution, it appears more likely the US is attempting to insidiously obfuscate its use of humanitarian aid to help its militant proxies win "hearts and minds" amid a humanitarian catastrophe the West itself engineered and perpetuated intentionally. Then, in the past weeks, Jabhat al-Nusra – which is outside the FSA – pushed other rebel groups out of the stores and established a system to distribute bread throughout rebel areas. 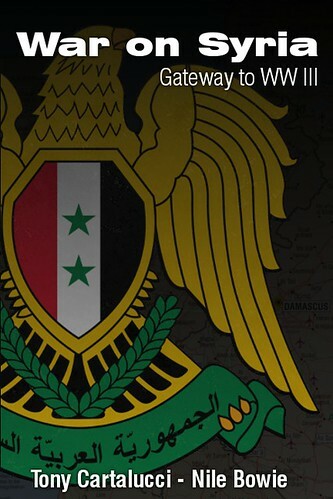 In a small office attached to a bakery in the Miesseh district of Aleppo, Abu Yayha studied a map pinned on the wall. Numbers were scrawled in pencil against streets. “We counted the population of every street to assess the need for the area,” explained Mr Yahya. “We provide 23,593 bags of bread every two days for this area. This is just in one district. We are calculating the population in other districts and doing the same there. The bakery works constantly. Inside, barrows filled with dough were heaved onto a conveyor belt that chopped it into round and flat segments, before pushing the dough into a giant oven. Workers packed the steaming flatbread in bags. In essence, Al Qaeda is taking over neighborhoods upon a mountain of US-provided flour, in bakeries overrun and held at the barrels of US-provided guns. With this in mind, it becomes clear that not only has America traded in its liberty and dignity for the illusion of safety, but they have done so in the face of fear manufactured and intentionally perpetuated by their own government - a government willfully using the very terror organizations they hold over the American people's heads as justification for an ever-expanding police state at home, as an international mercenary force with which to target their geopolitical enemies abroad. It is an illusion of both terror and security, masterfully implemented with a myriad of propagandists and corporate-financier interests working in coordination to foist this scheme upon Western civilization and beyond. It is essential to identify these corporate-financier interests, boycott them, and permanently replace them with local solutions - lest we be bent eternally to this charade, without liberty, without dignity, and clearly, without safety.